Definition at line 2449 of file CCopasiXMLParser.h. Definition at line 2456 of file CCopasiXMLParser.h. Definition at line 9372 of file CCopasiXMLParser.cpp. Definition at line 9377 of file CCopasiXMLParser.cpp. Definition at line 9426 of file CCopasiXMLParser.cpp. 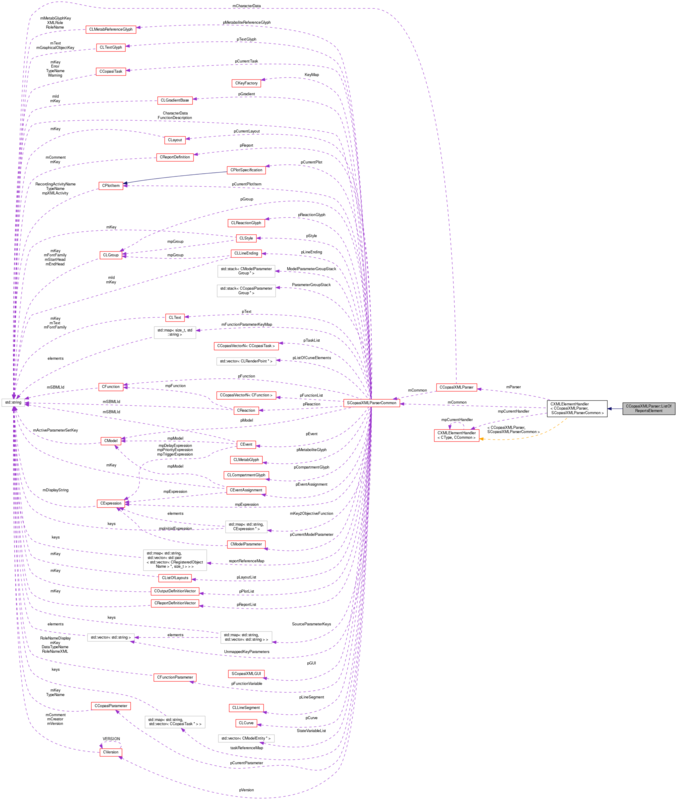 References CCopasiMessage::EXCEPTION, CKeyFactory::get(), CCopasiObject::getCN(), SCopasiXMLParserCommon::KeyMap, CCopasiXMLParser::mCommon, MCXML, CExpatTemplate< CExpat >::mParser, SCopasiXMLParserCommon::reportReferenceMap, START_ELEMENT, SCopasiXMLParserCommon::taskReferenceMap, and UNKNOWN_ELEMENT. 9488 //Tell the parent element we are done. Definition at line 9382 of file CCopasiXMLParser.cpp. 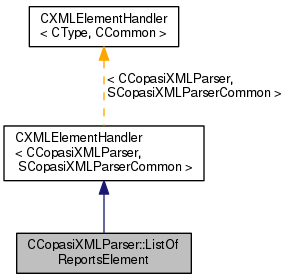 References CCopasiMessage::EXCEPTION, CCopasiXMLParser::mCommon, MCXML, CExpatTemplate< CExpat >::mParser, SCopasiXMLParserCommon::pReportList, and UNKNOWN_ELEMENT.